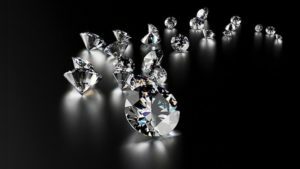 Diamond broker – What is a diamond broker? 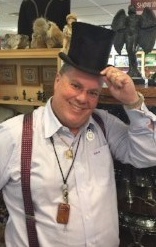 Welcome to Beck Diamond Brokers Wholesale Diamonds. We are pleased to offer you the finest natural diamonds in Edmonton at real wholesale prices. All of our diamonds are guaranteed to be exactly the grade that we tell you. Our diamonds are chosen by our experts for their brilliance and beauty. If you are looking for an amazing diamond at the best price Beck Diamond Brokers offers an amazing selection at unbelievable prices. Purchasing from a diamond broker saves you money every time. As a real diamond broker, we trade diamonds on an international exchange and diamond prices go up and down very similar to the price of gold and silver or the stock market. We buy and sell or broker diamonds based on current international diamond brokerage prices. When you visit any of our stores, you will find amazing and beautiful diamonds at the lowest wholesale prices. Many of our diamonds are second hand. This makes no difference in the actual diamond. Diamonds are millions of years old. Diamonds are always being bought and sold back into the wholesale marketplace and traded as new diamonds. Beck Diamonds was founded by Clinton Beck in 1989. Beck Diamonds has an A+ Rating with the Better Business Bureau and other rating services like Yelp, Facebook and Google. Beck Diamonds has also won awards like being one of the 50 Fastest Growing Companies in Alberta. Beck Diamond Broker Diamonds Are Previously Loved? All of our diamonds are pre-owned. 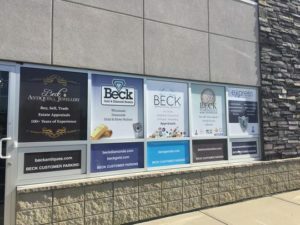 Beck Diamonds is Edmonton’s largest diamond buyer. We offer the highest purchase price when buying used diamonds. We buy thousands of diamonds a year which in turn are sold back into the jewellry marketplace. Our diamonds are previously owned and recycled. Diamonds don’t change with age. They are exactly the same as a new diamond. Most of our diamonds get sold to jewelry stores who sell them as new diamonds. This has been going on for centuries so don’t be scared to have a pre-owned diamond. It takes 1 tonnes of Carbon to mine a diamond for the jewelry trade. Comparable to manufacture a small car is 6 tonnes. A previously loved diamond or recycled diamond eliminates further destruction of planet earth. Diamond mining is unfortunately catastrophic to the environment. 1750 Tons of earth have to be extracted to find a 1ct diamond. In 1920 an average engagement ring was .30ct. Today the average is 1.25cts. With the demand for larger diamonds ever increasing, buying a previously loved diamond not only benefits the planet but also your pocket book. Let our diamond broker find you a perfect diamond. How Can A Beck Diamond Broker Offer Diamonds At These Prices? We are a real wholesaler, most of our diamonds are sold to jewelry manufactures and made into new jewellery. Our prices are based on live market prices from international diamond exchanges. You won’t find diamonds at a better price anywhere.